The Beloved, Desert Storm, 808 State, Jillian Mendez, Virtual Symmetry and more. Another week of old skool with a difference - none of those awful hoovers, terrible rave stabs or high pitched helium screams here. Well not this week. 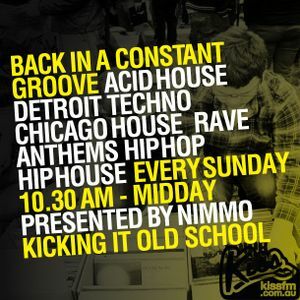 Instead, there&apos;s blissful acid house, proper rave - including the rather good N-Joi sampling "Let Yourself Go" (thanks to Rob Jones there), quality techno and a bit of everything else too. No hip hop this week though.